Interested in knowing about Governor David Paterson’s favorite recipes? What does the state’s chief executive enjoy most for dinner? The man who whips up most meals for New York’s chief elected official is Noah Sheetz—executive chef at the G… Please login below or purchase a subscription to the Putnam County Courier to access this content. Weapons Cache in Brewster Car When appearing in Brewster Village Court later this month, a 20-year-old Southeast man has some explaining to do as to why he was in the possession of an assortment of dangerous weapons. Sheriff Donald Smith announc… Please login below or purchase a subscription to the Putnam County Courier to access this content. A dramatic increase of female inmates at the county jail has prompted members of the Putnam Legislature to begin thinking about jail expansion. By a unanimous vote last week, lawmakers requested County Executive Robert Bondi to “pursue and explor… Please login below or purchase a subscription to the Putnam County Courier to access this content. 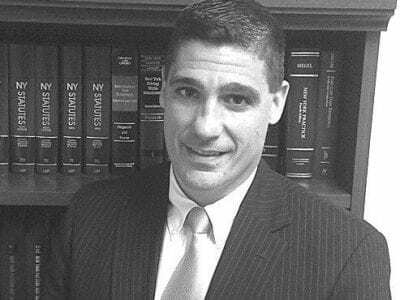 Folchetti Seeks Judgeship When James Borkowski stepped down from the Southeast bench to run for Sheriff, attorney Greg Folchetti soon found himself sitting before the Republican Committee along with half a dozen of candidates, hoping to be a… Please login below or purchase a subscription to the Putnam County Courier to access this content. Legislature scales back Peekskill Hollow Road project Who says governmental officials don’t listen to their constituents? Following public hearings earlier this year, in which residents of Peekskill Hollow Road expressed passion about their commu… Please login below or purchase a subscription to the Putnam County Courier to access this content. Mahopac High School graduation to be held in Danbury The traditional blue and gold of Mahopac High School will be adorning the O’Neill Center at Western Connecticut State University in Danbury a week from Tuesday when the Class of 2009 conducts it… Please login below or purchase a subscription to the Putnam County Courier to access this content. 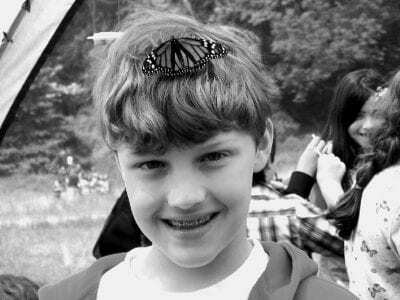 Nathan Whitney, a Garden Street School 3rd grader, got a surprise when a beautiful Monarch butterfly landed on his forehead. Over her more than three decades of teaching, Dawn Macomber of Brewster has learned never to give up. The lifelong Brewster… Please login below or purchase a subscription to the Putnam County Courier to access this content. 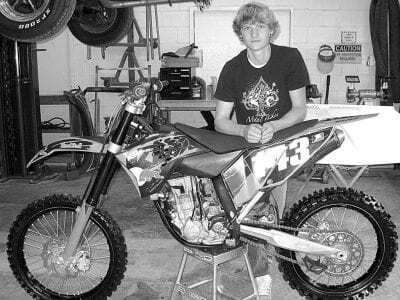 Frank Bartolomeo and Jon Peragine gained real life experience by repairing the engine on this motocross bike. Two juniors at Brewster High School have made a difference for a fellow student enrolled in the auto mechanics program at Putnam-Northern W… Please login below or purchase a subscription to the Putnam County Courier to access this content. 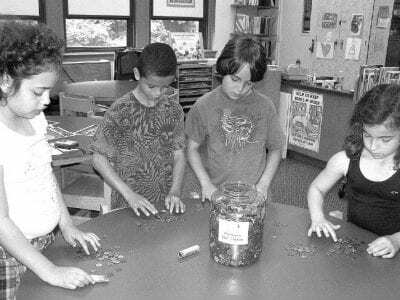 Children at Garden Street School in Brewster count pennies during a visit to the school library last week. The quartet includes (l-r) Sofia Rivera, Josh Nelson, James Celio, and Isabelle Messina. The question being asked most around Garden Street Sc… Please login below or purchase a subscription to the Putnam County Courier to access this content.